Mud Magnet is from Charlie Bears 'Puppy Love' collection. He's beautifully soft and weighted to feel like a real pup! 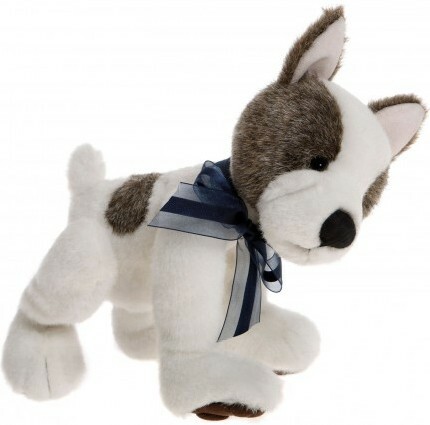 His plush coat is white, with patches of brindle brown. He's fully jointed and very posable, with big puppy-feet and sculpted paw pads. Mud Magnet puppy is from the Charlie Bears 2016 Collection.